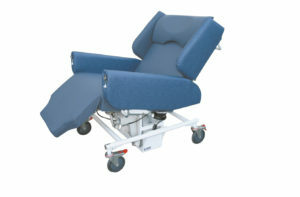 The Fero Obesitas bariatric bedside chair is a very comfortable chair with specific characteristics that have been especially developed for bariatric patients. 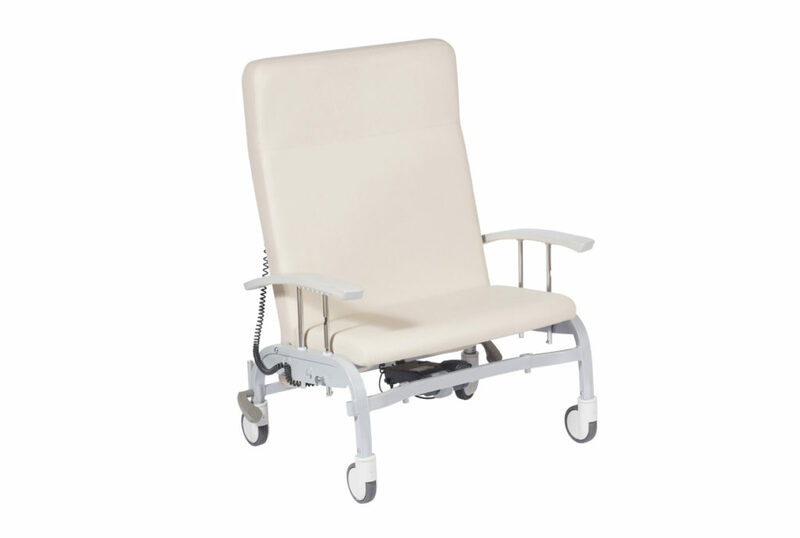 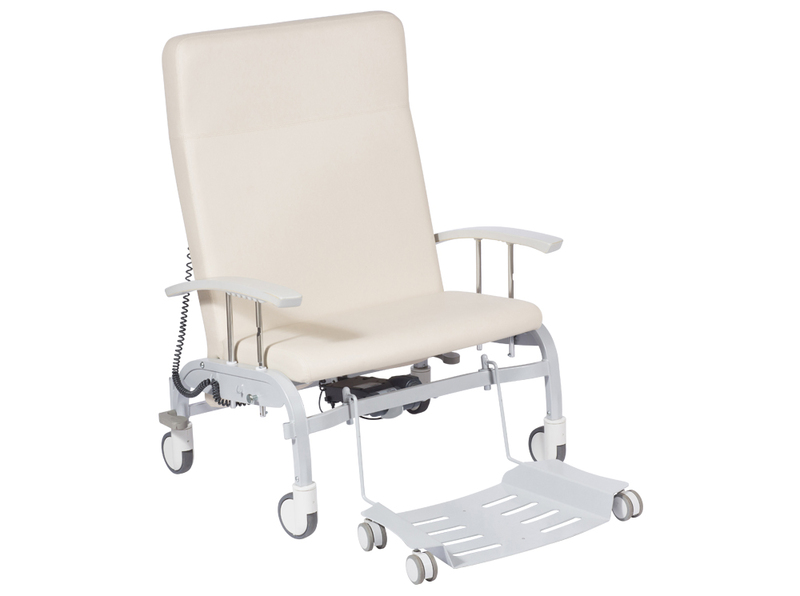 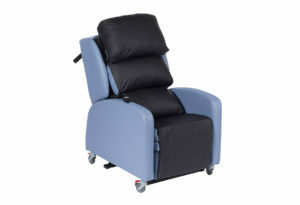 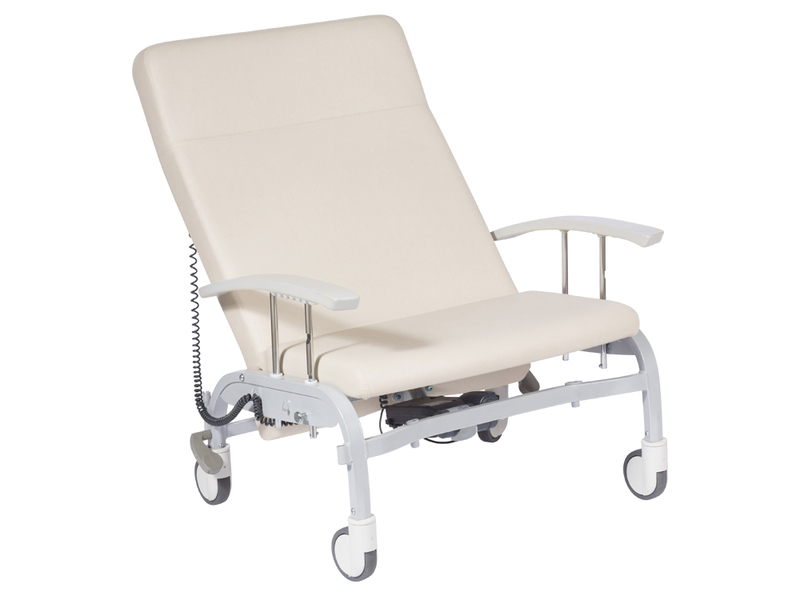 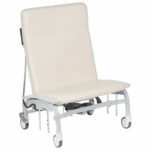 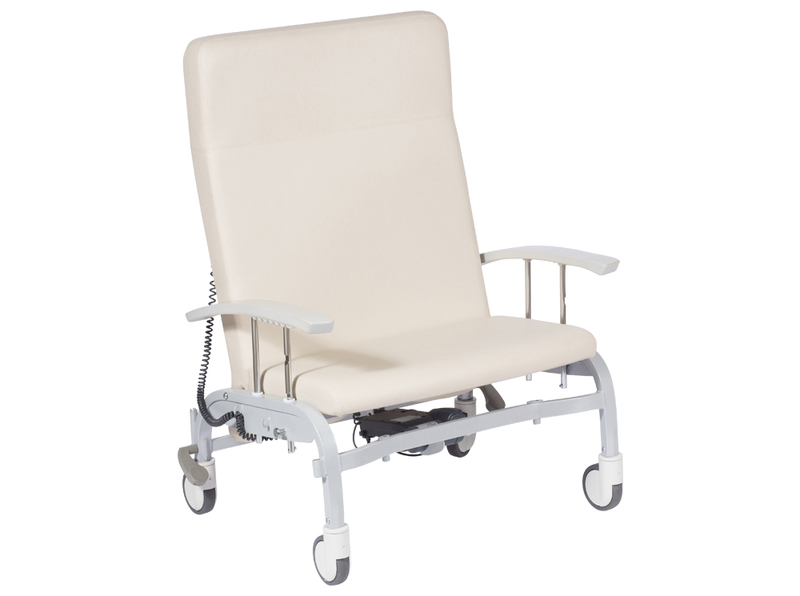 The electrically tiltable backrest and the high-quality upholstery materials guarantee an optimal comfort when the patient wants to sit down for a long time. 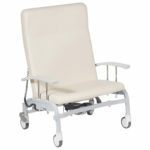 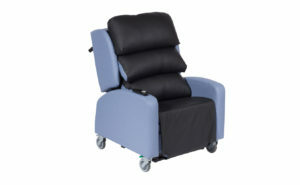 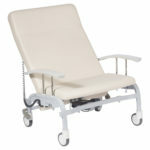 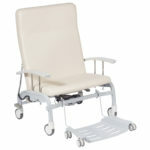 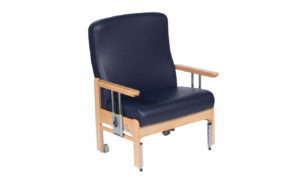 The lowerable armrests make it possible to transfer a patient. 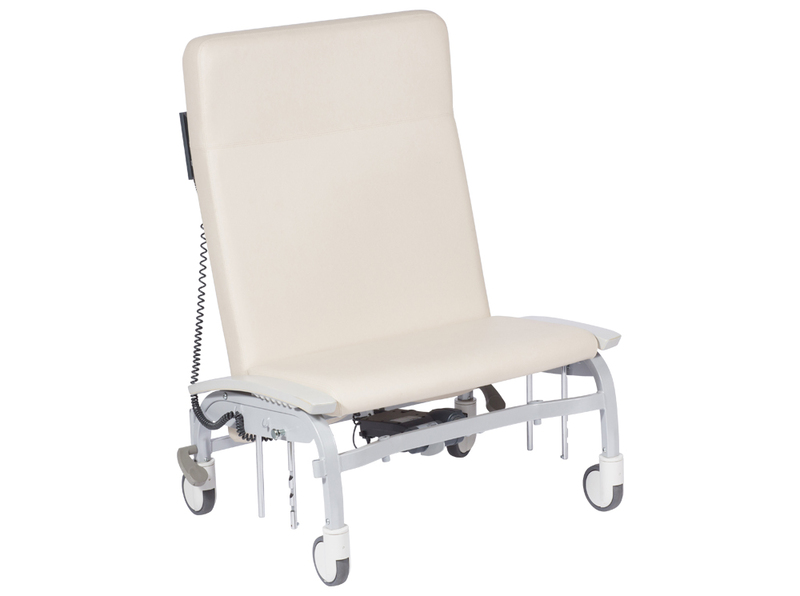 The Integral design castors are equipped with a central brake mechanism, which enables the staff to move the patient without any problems. 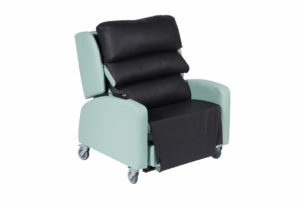 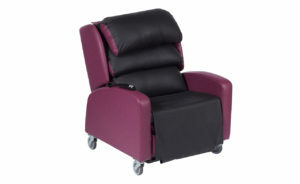 Furthermore, the chair has been designed in such a way that it does not contrast with a modern care chair.